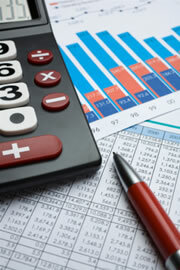 Bookkeeping and accounting are two very important aspects of a business. Unfortunately, they’re both quite difficult to manage. But there is one type of software that can make bookkeeping easy for you. The bookkeeping software from Sage is one of the most helpful software programs designed to help bookkeepers like you do your tasks efficiently and accurately. The software can already take you through the various aspects of bookkeeping to make sure that you don’t miss a thing. The Sage bookkeeping software also helps you handle all your tasks in an organized way, and is well-known for their great features that can be specified to meet the needs of the company and the industry which the company belongs to. As a bookkeeper, you will find this software largely helpful. Here are some of the features of the software, all of which are designed to make your work so much easier. First, you can prepare reports so much easier and faster. In bookkeeping, time is of the essence, since there is a specific schedule that should be followed. So using the Sage bookkeeping software will help you stay on track. Second, Sage can help you with inventory management. This will help you keep track of your business’s costs and keep them at a sustainable level. Inventory is an important aspect of a business, and Sage makes sure that it gets the attention that it needs. Sage also includes are a payroll processing feature, which allows you to easily handle the payroll for your company. This feature is easily customizable to fit your company’s employee rates as well as tax levels. The feature is easy to use and can take a huge load from your shoulders. Best of all, the Sage bookkeeping software can be integrated with Microsoft Excel. Since Microsoft Excel is the standard program used in record-keeping in practically all businesses, being able to integrate these two programs together will be a great help to you. This just shows that Sage looks at your actual needs to give you a program that you need. Those are just a number of features offered by the bookkeeping software from Sage. Given all the features offered by this program, it is now widely used in the finance industry. That’s why it is important that you, as a bookkeeper or are aspiring to be one, should learn the Sage software to be up-to-date with the systems that are being used in the industry. As the bookkeeping profession becomes more popular, the need to be more competitive and updated as a bookkeeper has become great. If you want to get the clients or to be employed by good-paying companies, learning the Sage software will definitely give you an edge over other bookkeepers.